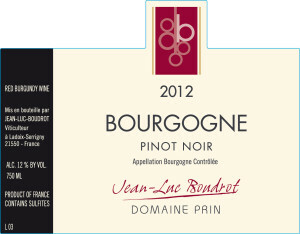 Importers often talk about bringing in “farmer wines.” Although this can be an over-used and generally vague terms Jean Luc Boudrot – winemaker at Domaine Prin is literally a farmer. He has 200 hectares of cereal just south of Dijon. That’s why he laughed when we spoke about “lutte raissonnée” This terms roughly translates as reasoned fight – but really refers to a type of farming where grape growers use chemical treatments only when absolutely necessary. This was a response to french farmers saturating the soil with synthetic fertilizers, pesticides, herbicide and essentially killing off most of the microbial life that we now know if so important for healthy soil. He laughed, because lots of winemakers talk “lutte raissonnee” but he actually practices it. He has being using this approach with his cereal for 30 years – well before the term become popular. In fact, he sees farmers employing the term “Lutte Raisonné” all the time and the reality is that there is nothing reasonable or moderate in their fight against disease. Carefully maintaing his vines and respecting the land is a part of the puzzle. Jean Luc Boudrot is already well-known in France and throughout Europe. He makes award-winning wines and his wines are exquisite example of terroir driven Burgundy at it’s best – we are honored to bring his wines to the United States. 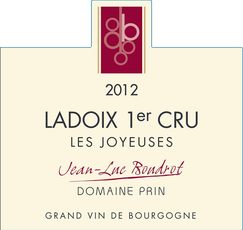 Ladoix 1er Cru "Les Joyeuses"
Soil: the wines are planted on shallow clay-limestone soil. Vineyard: The Ladoix is located to the right of this hill, a little bit higher up on the hillside, at a steeper part. The vines are worked with plows, there is no herbicide; organic fertilizer is used. Soil: Vines are planted on shallow clay-limestone soil. 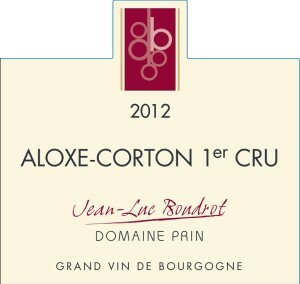 Vineyard: Aloxe Coron is at the foot of the Corton hill on a slightly on the hillside.